"An estimator is any object that learns from data; it may be a classification, regression or clustering algorithm or a transformer that extracts/filters useful features from raw data." # step through prediction as we add 10 more trees. Its a trade-off between runtime against accuracy. 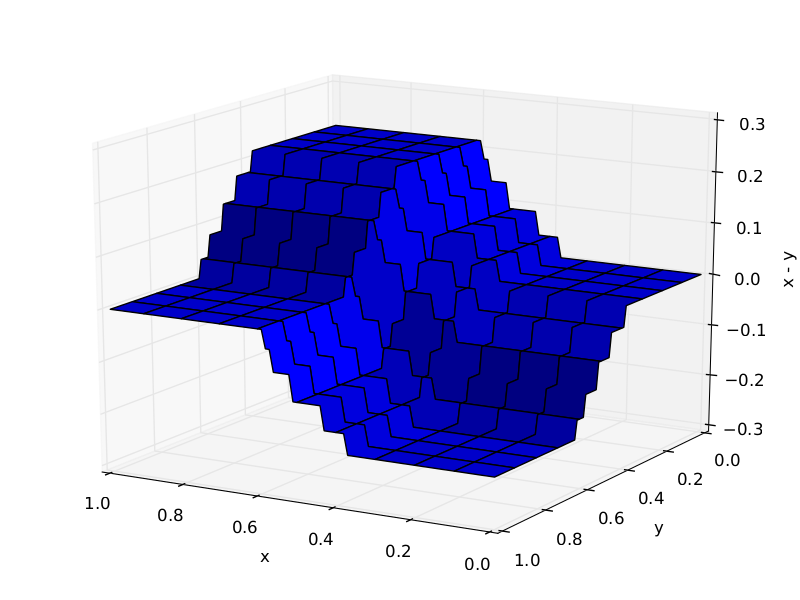 Caution: Hyperparameters interact with each other (learning_rate and n_estimators, learning_rate and subsample, max_depth and max_features). 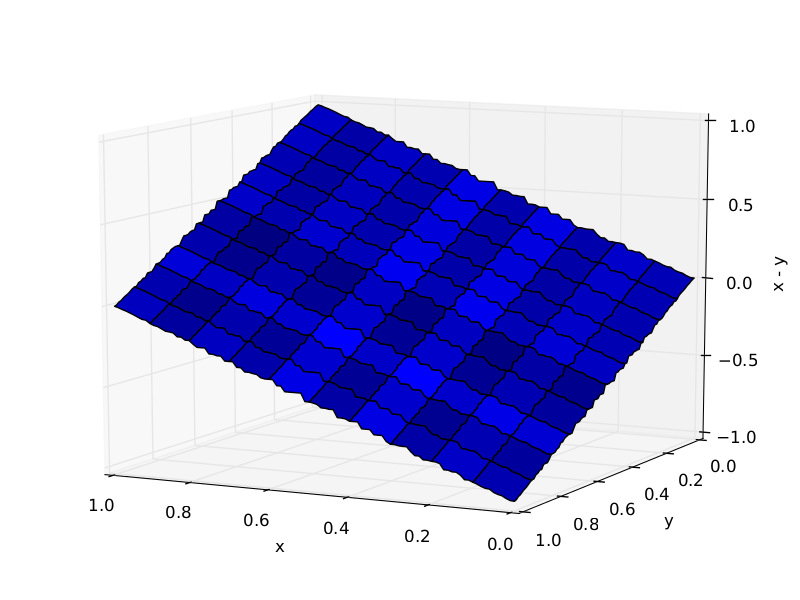 The above GradientBoostingRegressor is not properly tuned for this dataset. 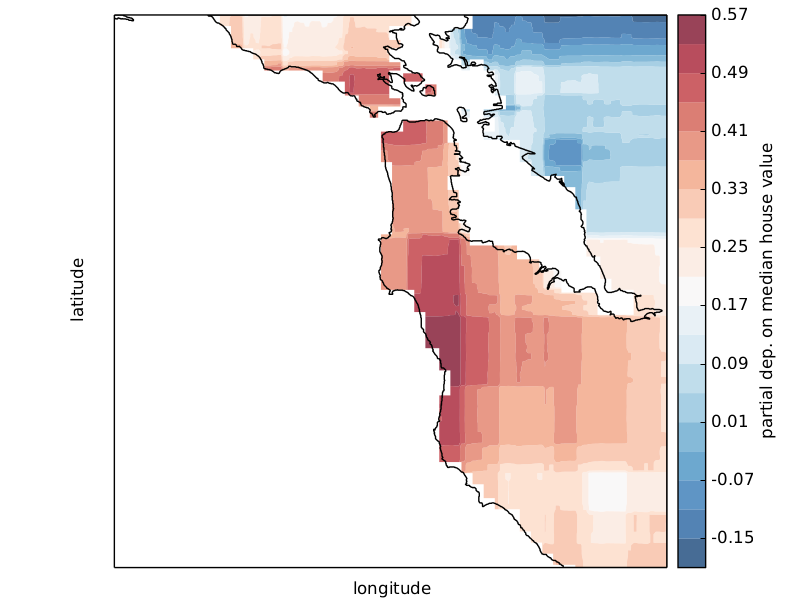 Diagnose the current model and find more appropriate hyperparameter settings. What are the important features and how do they contribute in predicting the target response? 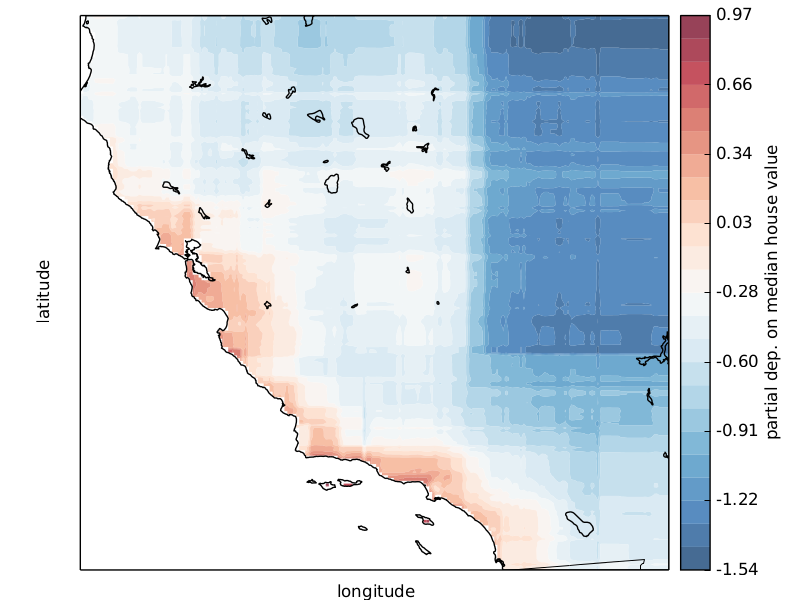 Scikit-learn provides a convenience function to create such plots and a low-level function that you can use to create custom partial dependence plots (e.g. 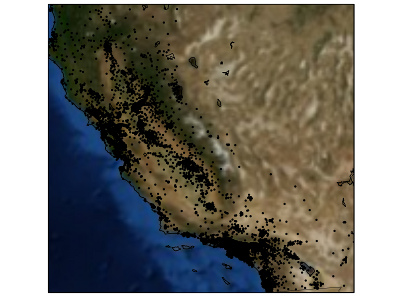 map overlays or 3d plots). More detailed information can be found here. 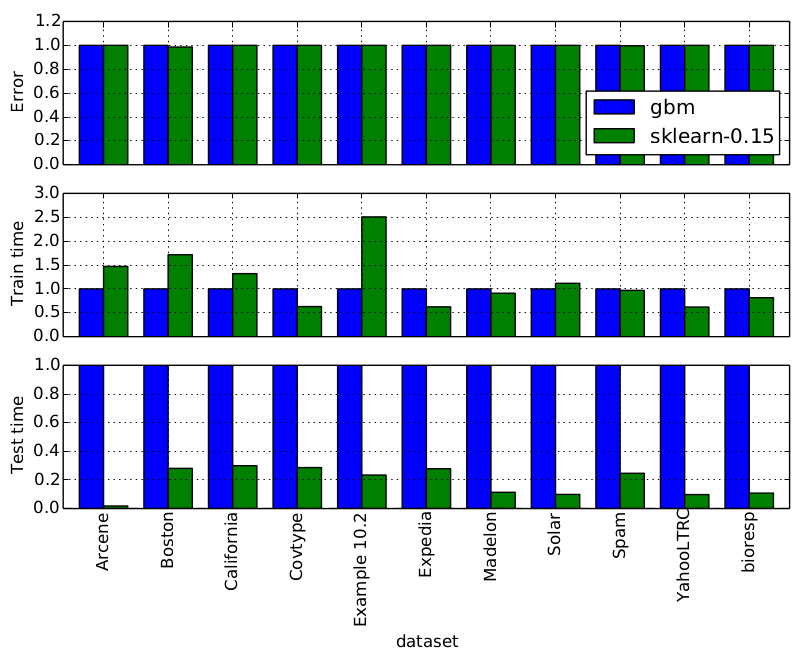 Comparision of scikit-learn against R's gbm package. GBRT automatically detects feature interactions but often explicit interactions help.